Katers Restaurant serves a charming high tea, delicately crafted with local, seasonal produce. Be spoilt with traditional or vegetarian treats, such as freshly baked scones, savoury finger sandwiches and the chef's selection of delectable desserts. 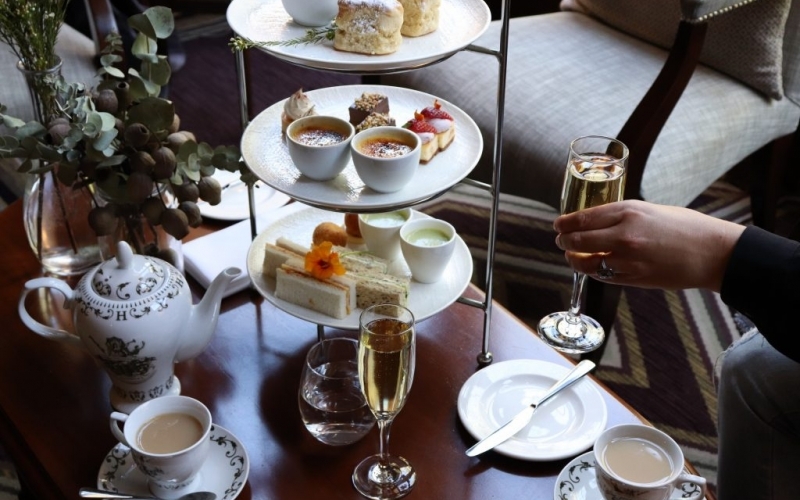 Book a standard high tea at Katers and receive a free upgrade to include a glass of Sparkling! Pre-booking is essential with 24 hours notice required. Deals are limited to 1 deal per person. This deal expires 30 June 2019, all bookings must be made no later than that date. Deal vouchers will not be valid after 30 June 2019. Bookings must be made 24 hours before the required seating time. The deal print out must be presented in order to receive the upgrade. This deal is not valid for cash back, can only be used once. This deal can not be used in conjunction with any other offer.